Gotoh® tuning machine buttons fit most Gotoh® and other import tuning machines with a screw on button. 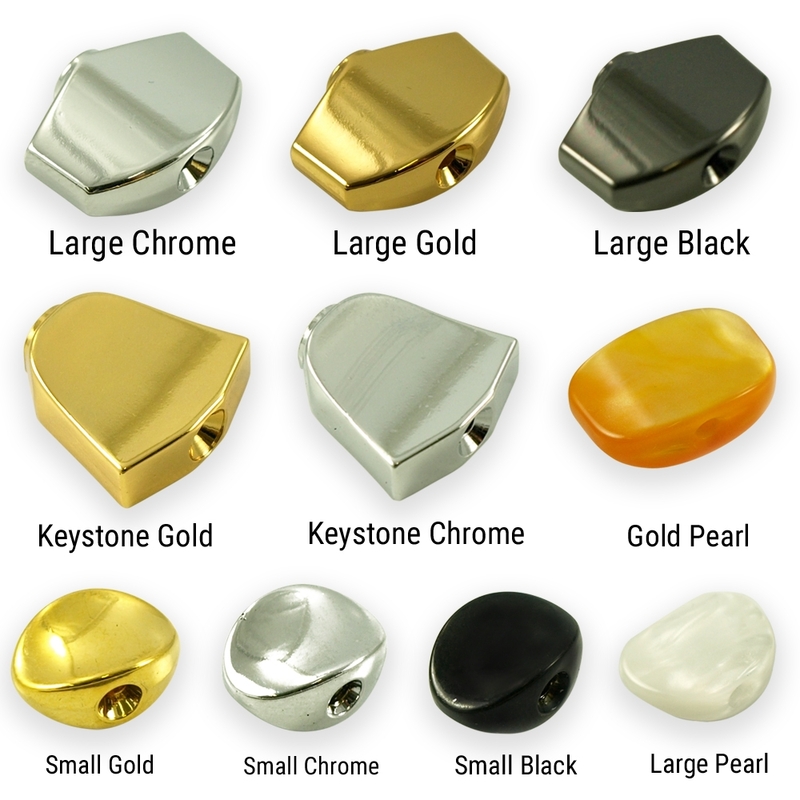 Available in Large, Keystone, or Small button shapes in a variety of plating colors (sold individually). Great product, just as advertised. Fit my Takamine EG355SC perfectly! Vary nice finish, buttons are very solid.